Community Enterprise is Scotland’s most responsive and effective provider of highly skilled support, helping communities and social enterprises to turn great ideas into reality. We build working relationships with our clients. We are a social enterprise ourselves and 100% of our profits are re-invested in supporting the further growth and development of communities across Scotland. We have been working in communities across Scotland for 30 years, and all of our work makes a clear and obvious difference. 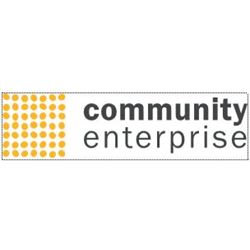 Community Enterprise Ltd is one of Scotland’s leading social enterprise support providers. We want to complement our core team of senior consultants by building a small group of freelancers who can support their projects. Associates will be brought in as required to deliver high quality work to deadlines that can be used as crucial building blocks of research documents and business plans for example stakeholder interviews, case studies, focus groups and desk top market research. There is no guarantee of work but we do have a busy portfolio and envisage using this resource regularly. We will commit to providing induction training about our ways of working and systems and to help associates feel part of our team and contributors to our bigger vision. Based in West Lothian but some flexible, remote working can be negotiated. This is an exciting and challenging opportunity to work with a growing team of social enterprise and community developers in one of Scotland’s most well regarded and effective social enterprise support providers. Community Enterprise Ltd is a well-established third sector support organisation with a progressive outlook and a growing portfolio. We are looking for someone to join our team to meet the increasing demand for our services. The post involves delivering capacity building and development support to a wide range of clients and projects across Scotland.